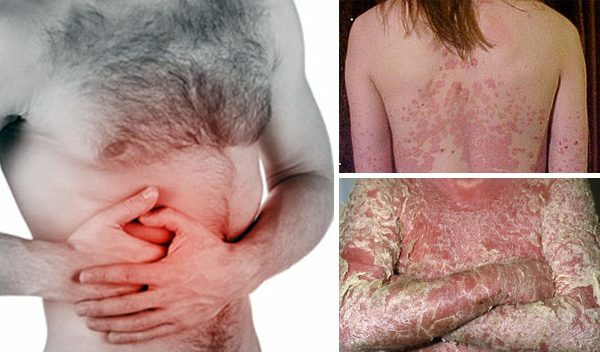 The course of psoriasis is accompanied by a metabolic disorder and severe intoxication. The main impact is taken by the organs of the excretory system, which leads to their continuous damage and the development of severe pathologies. For this reason, people suffering from dermatosis should pay special attention to the prevention of liver diseases and treatment of already reported illnesses. Since psoriasis develops in waves, during the remission, the liver’s state improves somewhat, and with exacerbations of dermatosis, it worsens. The resulting disruption of the digestive system provokes the spread of psoriatic papules until the appearance of erythroderma. As a rule, patients mistakenly take such symptoms for allergies or a regular exacerbation of dermatitis and do not rush to undergo a gastrointestinal examination. This is a reckless decision, since psoriasis, burdened by neglected diseases of the liver and gall bladder, is treated much more difficult and often requires hospitalization of the patient. The liver is involved in the processes of digestion and removal of harmful substances from the body. The latter function is partially done by the epidermis, so any damage to the skin leads to accumulation of toxins and inflammation of the gland. The greater the area occupied by psoriatic plaques, the more severe the liver damage. Feedback is also possible. Exhausted by the disease, the body is unable to remove toxins, maintain the rheological properties of the blood. A metabolic disorder provokes a relapse of psoriasis and a rapid deterioration of the patient’s condition as a whole. Fast fatigue, hair loss, digestive problems are signs of a primary development of liver disease in patients with psoriasis. At this stage, the body is able to recover quickly after correction of the patient’s diet. If the gland has not received the necessary support, the pathology is rapidly progressing. The Heat. Internal malaise is manifested by exacerbation of psoriasis, yellowing of the skin and sclera due to increased levels of bilirubin in the blood. After the examination, the patient is diagnosed and transferred for a therapy. It is possible only when passing the full course of therapy. If the patient has neglected the recommendations of the doctor, the illness turns into a chronic form. Correctly organized protection of the gland provides a stable remission of dermatosis and a decrease in the intensity of its manifestations on the skin in the period of exacerbations. In patients with psoriasis, improving the liver involves diet, the use of a variety of medicines and body cleansing. 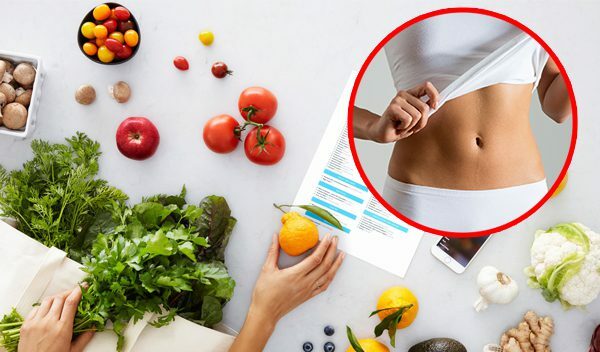 It involves removing the fatty, fried, spicy and smoked dishes, as well as tea, coffee, alcohol and quickly digested carbohydrates. The basis of nutrition should be vegetables and fruits, with the exception of citrus and red fruits (peppers, tomatoes, strawberries, etc. ), up to 150 grams lean meat per day is allowed. Products are steamed or stewed over low heat. As the patient’s health condition improves, the menu can contain light meat broths. 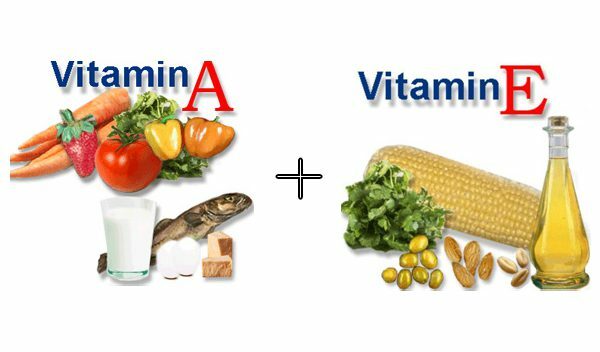 Typically, to maintain a weakened by psoriasis gland, vitamins A, E and hepatoprotectors are prescribed – plant or synthetic compounds that promote the regeneration of liver cells. Heppaprotectors are also recommended in dosages by a doctor. Stimulation of bile flow. It is achieved with the help of the tubage procedure or taking cholagogue decoctions, preparations. Use of sorbitol (glucitol). Soft laxative with cholagogue effect, helps to cleanse the body. Sorbitol is sweet, so it is often used as a sugar substitute. Pharmacy detoxicants. These drugs are based on sodium thiosulfate, which effectively binds toxins, removes metabolites of salts of heavy metals. Systemic support of the liver is an important condition for achieving a stable remission of psoriasis. Abandonment of bad habits, a diet and a properly selected course of medications will ensure an effective normalization of the patient’s condition even with a neglected form of dermatosis.